Berlin, 7 September 2016. Baltic Sea Philharmonic releases its first CD on 9 September, performing Wagner’s four-part opera cycle The Ring of the Nibelung in an orchestral version that distils the musical highlights of the composer’s turbulent epic. It was recorded at Peenemünde Historical Technical Museum, under the baton of Founding Conductor and Music Director Kristjan Järvi, and will be released on the Sony Classical label as part of the Kristjan Järvi Sound Project series. The music is rich and complex, full of passion and emotion. In this recording, the orchestra performs 14 selected highlights of the drama, including ‘Das Rheingold’, ‘Die Walküren’, ‘Waldweben’, ‘Siegfried’s Rheinfahrt’ and ‘Siegfried’s Tod’. As with previous releases in the Kristjan Järvi Sound Project, Kristjan Järvi’s aim, he explains, is ‘to make a connection between things, shed light on topics, tell a story, or simply provoke the question “Why?”’ In this new album he and the Baltic Sea Philharmonic explore Wagner’s own spiritual connection to the Nordic lands, made during his travels there. Presenting these selected highlights arranged for orchestra is also a way of putting his Ring Cycle into a context that is meaningful both for the players and audiences. 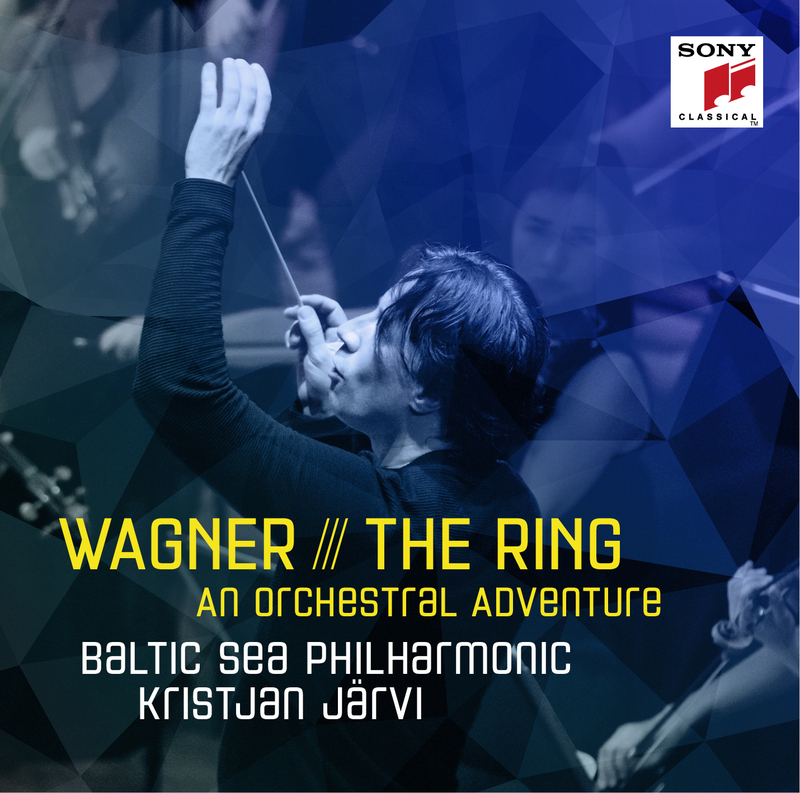 Järvi says: ‘This meaningful association to the Baltic Sea and the lands that it connects leads me to contextualise the Ring within the spirit of what may have influenced Wagner to create the whole metaphoric idea of the Ring Cycle itself. To me this is and has always has been a specific and differentiating hallmark of all the Nordic people: an earthy way of being that is rooted in living in accordance to the laws of nature and shamanistic beliefs that shape a spirit of emotional innocence, purity, and honesty, which manifest in both darkness and light.’ The selected highlights from Wagner’s masterpiece explore all these facets. The arrangements were made for orchestra by Dutch composer Henk de Vlieger, former percussionist and artistic advisor of the Netherlands Radio Philharmonic Orchestra, which commissioned him to create arrangements of Wagner operas at the request of its then chief conductor Edo de Waart. The recording by the Baltic Sea Philharmonic was made at Peenemünde Historical Technical Museum, on the Island of Usedom, which was a military production and test site during the war – the first space rocket was fired from there in 1942 – but now serves as a meeting place and cultural centre serving reconciliation and world peace, a major theme for Baltic Sea Philharmonic.